Lou Davidson’s images are created in-camera using movement, panning, hand-held long exposure, breaking the rules of traditional photography techniques, rather than being restricted by them. Free to express the memory of what she sees, hears, smells, tastes, feels and senses from her surroundings - without the clutter of unnecessary detail to soften and simplify the subject matter. 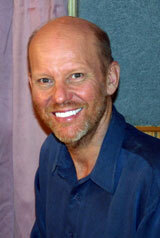 Lou Davidson obtained a double degree in Arts and Business from James Cook University in 1999. 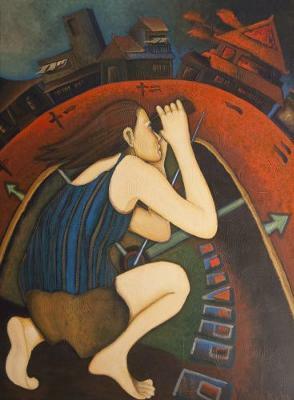 Her work has been exhibited in a number of galleries in Townsville. Please join us at Cell Art Space, 109 Lake St at 5.30pm sharp to officially launch Collective Impressions. From 6pm - 8.30pm meet the artist and enjoy food and drinks at Twelve Bar Café, Cnr Lake & Shields St.
26th March until the 1st May 2010. The exhibition showcases a new series chronicling narratives where the personal and the customary intersect. With a dynamic array of colours in consistently bold, near-symmetrical compositions, the artist has drawn on knowledge of his culture to articulate a spirit of optimism. 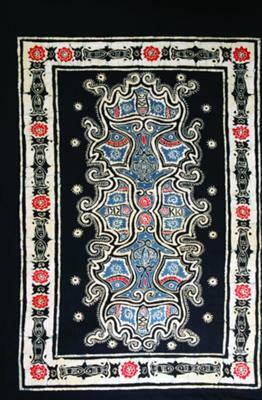 Motifs abstracted from significant sites and medicinal plants to ancestral beings and intimate objects, repeatedly emphasise a symbiosis of culture and nature, of the personal and the symbolic. They are produced in natural pigments, pastel and crayon on paper. Shaun belongs to the Kokoberrin language group of the Staaten River in Cape York. His language name is Kalk, meaning freshwater spear. His totems are sour yam - Ma Wanjibang and Pukun, a native grass found in his homeland. Hand built or thrown "The Teapot" is one of ceramics emblems an important piece in ceramics history but not that easy to do. I suggest you to follow with me "The Teapots" evolution from the bag of clay to the kiln. We will approach together different ways to create this essential tool to all kitchens of the world. Clay not provided and can be bought from club or bring your own. Mathieu Hettema was born in France where he studied at the Institut Europeen des Arts Ceramiques completing hes Diploma. 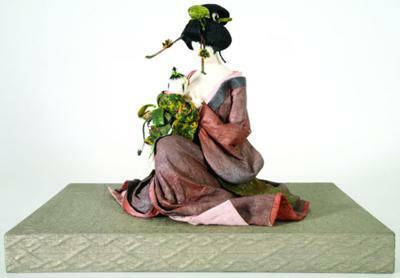 Mathieu's handmade "Teapots" and decorations are inspired by French 18th century popular art. KickArts celebrates the resurgence of drawing in contemporary practice. Two current exhibitions feature four artists who examine new approaches to drawing. Join Curator Sam Creyton and artists Carly Scoufos, John Eaton and Leith Maguire in a panel discussion at KickArts. An exhibition of acrylic and mixed media on canvas illustrating abstract and expressionist imagery, Declan's artwork focuses on the portrayal of internal emotions through the use of colour, ambiguous areas of mark-making and amorphous forms. 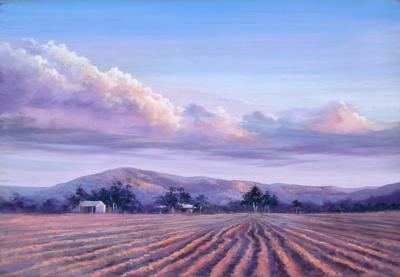 The Mareeba Art Society inc. has an annual Exhibition open to entries from everybody. This years Exhibition will be from 12th to 17th July. It is held in the P.C.Y.C. sports hall, Walsh Street Mareeba. Awards total $4,500.00. Entry forms and conditions for entry can be down loaded from http://artscrafts4880.tripod.com/id15.html For more information ring 40933199. Sculpture from the KickArts Collection including works by Edward Koumans, Claudine Marzik, Russell Milledge, Roland Nancarrow, Knitta Please, Navin Rawanchaikul, Mona Ryder and Zane Saunders. KickArts Contemporary Arts, Gallery One. 11 June to 7 August 2010. 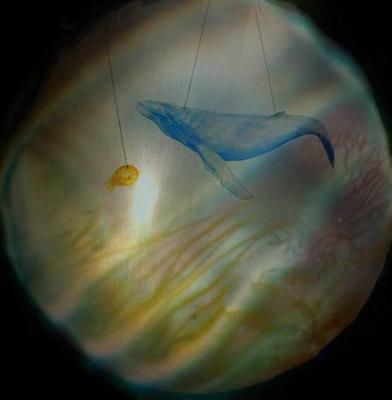 Madeleine Challender's exhibition is an Illuminated Shadow Puppet Installation called The Last Nautilus - A Light Story. It describes the journey of a nautilus - whom has found himself alone, in the future, when the world is no longer as we know it today. He remembers his past, and recalls the stories of his ancestors, which he tries to keep alive through communication with other sea creatures. With the help of a whale and some lantern fish, he explores the ocean in search of something - something that we are all searching for - that which completes us. The fragile beauty of life, family, the environment, and cultures are revealed in story. OPENING NIGHT is SAT 3 April 2010 first performance at 7.30pm and repeated at 8.30pm. The exhibition is viewable 24/7, FREE, and finishes 30th April 2010. 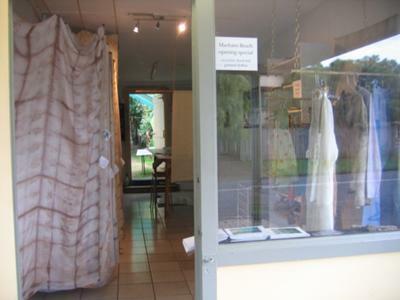 Cell art space is located at 109 Lake St Cairns, Ergon Energy Window Front. An exploration of exciting new forms of portraiture that incorporate a variety of different technologies from digital prints to single channel digital view to interactive installations. A Touring Exhibition from d/Lux Media Arts. Entries close 20 August 2010. Over $8000 in prize money for 2D and 3D works. 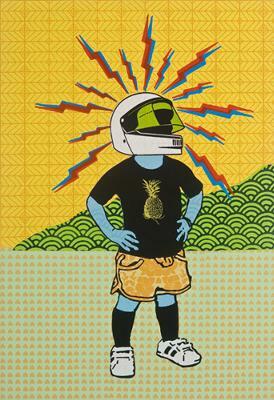 The best 100 works will be displayed at the Cairns Regional Gallery from 17 Sept - 31 October 2010. 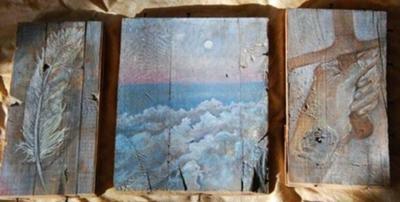 Shane Morris’ artworks comprise of old boxes and salvaged wooden boards – used to make small religious icons of her own devising. The works are about a search for a spiritual life in a place where there are no ancient religious edifices. Instead, the land itself has been made sacred – each place has its spiritual story. 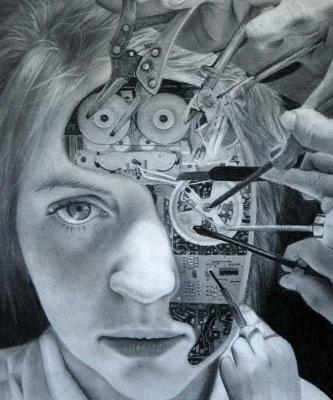 Shane Morris has completed an Advanced Diploma in Visual Art and has been commissioned for several Public Art projects. Please join us at Cell Art Space, 109 Lake St (Ergon Energy building window front) at 5.30pm sharp to officially launch Angels & Boxes. From 6pm - 7.30pm meet the artist and enjoy food and drinks at Twelve Bar Café, Cnr Lake & Shields St. 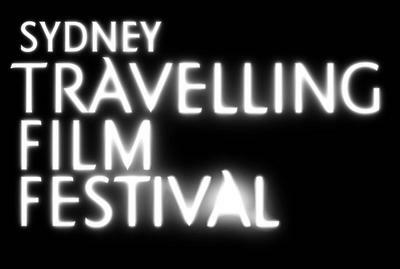 The Sydney Travelling Film Festival returns to Cairns 19 – 21 November, screening at Cairns City Cinemas. The 2010 program is set to delight, entertain and inform with a selection of films from around the globe and our own backyard. This is Australia’s longest running travelling film festival showcasing Australian and international features, documentaries and short films in 14 regional centres across the country. Whether you are a casual film-goer or a cinema enthusiast, the festival has something to please all tastes with a veritable smorgasbord of world cinema on offer. 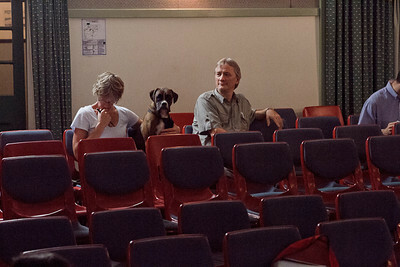 Program will be available in early October at Cairns City Cinemas or online www.sff.org.au . The festival offers a range of ticket options with subscriptions, flexi-passes, single session and concession tickets on sale in advance from the cinema box office. This exhibition is a celebration of fibre and textile works from Cairns and its seven sister Cities - Lae (PNG), Minami & Oyama (Japan), Riga (Latvia), Scottsdale (USA), Sidney (Canada) and Zhanjiang (China). Featuring over 100 works, it is a textile exploration of global cultures brought together through the Sister City partnerships. A special feature of this exhibition is Maharajah's Garden, a travelling exhibition by the Australian Textile Arts and Design Association. The exhibition is co-ordinated by the Visual Arts Association of Far North Qld in partnership with the Cairns Regional Council Sister Cities Advisory Committee. The words diverse , vibrant and colourful tell a bit about the exhibition which displays a variety of fibre artworks from quilts, woven, painted, embroidered and felted wall hanging, plus, tapas , hats, baskets, knitted and paper dolls etc, all created by passionate artists and artisans from different backgrounds and cultures, using a variety of techniques to manipulate fibres. 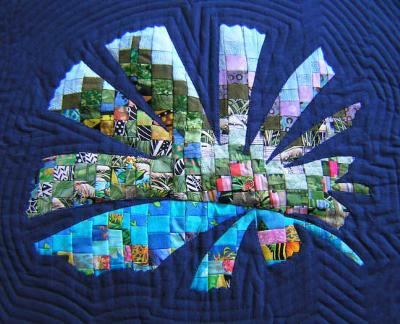 Enjoy a feast for the eyes... of colour and texture, of fabrics and fibre, of fashion and fun. Prepare to be uplifted and inspired! The exhibition closes Sunday 12 December, so come and have a look – the exhibition is displayed at Tanks Art Centre. 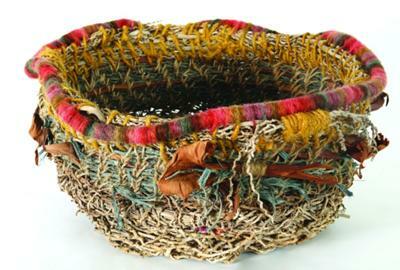 During the exhibition the Fibrecrafters NQ Inc. will be conduction mini workshops on felting, braiding, shibori, spinning, basketry and more. For more information call Lone White ph 07 40537508. Open weekdays from 9am to 4.30 pm and weekends from 10am to 4pm. I am a textile artist with a range of works to show at my Open Studio and shop at 55 Marshall St, Machans Beach on Tuesday August 17th at 5.30pm for wine and finger food. 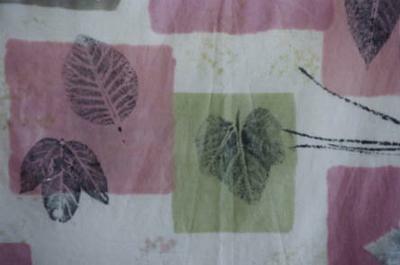 My works are a mixture of hand printed, plant dyed, sewn pieces for sale. I am interested in collaborations or commissions. Please come. Location: Pullman Reef Casino, Lobby, 35-41 Wharf Street, Cairns. Dates: 20th January - 30st April. Reef Hotel Casino, Foyer. 20th January, 5:30pm. Please come join us over drinks and capapes when Warren Entsch will launch the exhibition. Having just completed a popular solo exhibition at Douglas Art Base in Mossman as a part of the Go Troppo Art Festival in Octber 2009, Port Douglas-based artist, Yoshiko Kirby, returns again with her 'Sensing Beyond' exhibition. As an introspective memoir, these artworks remain the beginning of an ongoing series that explores childhood, emotion and narrative. At times haunting; other times joyful, the pieces take a viewer through the plethora of emotions that come when diving into our past. It remains not only an artistic series, but a spiritual and emotional one as well. 'Sensing Beyond" Exhibition will be presented alongside artist, Natalie Green, with her 'Circles Squares and All Points in Between' pieces. Mapping the Heart is a performance of original poetry, songs, and multimedia art linked together like the grid squares of a map, locating the topography of the heart in the landscape of the Douglas region. Words, music, movement and photographic images tell a series of stories about our relationships to ourselves, to those we love, to our community and our environment. The heart is shown reaching out in an exploration of its territory, negotiating lows and highs, and returning home to find that its purpose lies in its unique connection to its world. 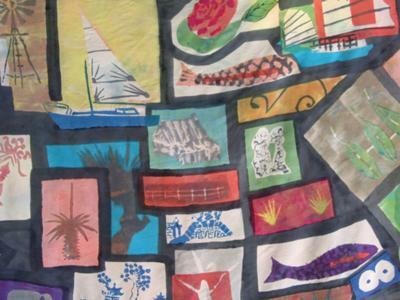 Mapping the Heart celebrates the talents of members of the Douglas arts community as the writings of local poet and storyteller Helen Ramoutsaki are interpreted in a colorful, vibrant travelogue along the contour lines of life and love. 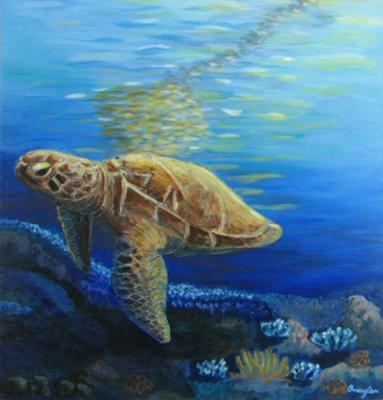 eScapsim is a series of acrylic paintings of “scapes” – landscapes, seascapes, skyscapes, and cityscapes – illustrating the essence of Far North Queensland scenery. 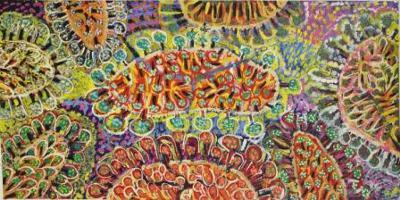 The paintings have a contemporary feel, which employs vibrant colours and textures. The style is Impressionist, some loose and others more detailed. The title of the exhibition plays on the two words; scape and escape. The artist wishes that the viewer feels a sense of relaxation and dreaminess and that they could be part of the scape by escaping into the scene. Chrissy Dwyer recently completed a Bachelor of Creative Industries (Visual Arts) through James Cook University. Her work has been shown in a number of group exhibitions throughout Far North Queensland since 2005.
eScapism is proudly funded by Cairns Regional Council's Arts and Cultural Grant fund. Please join us at Cell Art Space, 109 Lake St at 5.30pm sharp where special guest Lenore Howard, Visual Artist, will officially launch eScapism. Australian Art Network Galleries at Canopy Artspace 124 Grafton Street, Cairns QLD 4870. These new works combine a 'hyper pop' colour spectrum with found imagery that is layered over a foundation of Pacific Island influenced patterning. "In an attempt to challenge the super flat nature of screen printing, I have used devices such as cut out reliefs and layering of acrylic to achieve an illusion of depth / faux 3D". KickArts Feature Wall – New Work from Lockhart River. KickArts presents New Work from Lockhart River on the Feature Wall. Lockhart River is famous for the energetic group of artists who work at the Lockhart River Art and Culture Centre. The community of about 600 people is bounded by rainforest, low mountain ranges and the sea. The coastline is strung with sandy beaches where creeks and rivers enter the sea through mangrove protected estuaries. People enjoy their traditional lands and retain many aspects of traditional culture. Art works by Elizabeth ‘Queenie’ Giblet, Laurence Omeenyo, Patrick Wasaga Butcher and finalist in the Paddington Art Prize Josiah Omeenyo, Susie Pascoe are being exhibited until 18 February. 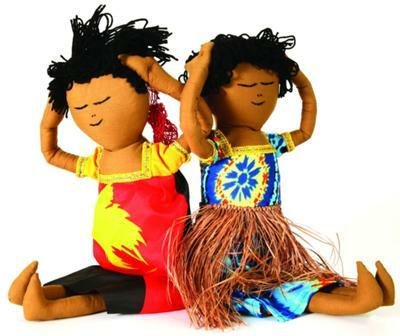 Other art works by Adrian King, Cheryl Accoom and Irene Namok are available in the KickArts Shop. The paintings are a contemporary response to the environment, culture and traditions of this isolated Aboriginal Community. They express some of the realities of being Aboriginal and the strong influences of traditional culture and values in their world. The artists have developed their own forms of expression which are very different from the art of central Australia and other parts of Australia. The art from Lockhart River promotes the cultural identity of Aboriginal people in contemporary Australian culture. KickArts is situated at 96 Abbott Street Cairns. The Galleries and KickArts Shop are open Tuesday - Saturday from 10.00am - 5.00pm. Entry is free and everybody is welcome. 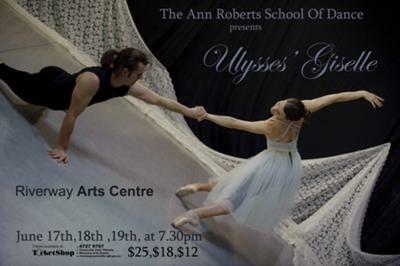 An evening of dance in a superb marriage of Classical and Contemporary dance at the Riverway Arts Centre 17th, 18th, 19th of June at 7.30pm. Tutus, point shoes and tears. The city of Cairns is home to a number of talented established and emerging visual artists. ShowCase is a celebration of Cairns’ diverse artists and their art practices. This exhibition will feature photography,sculpture, ceramics, printmaking, painting, drawing and jewellery by fifty artists. 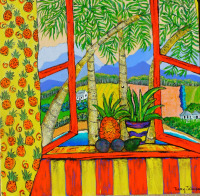 The exhibition will “showcase” artworks that depict the artists’ representation of the beauty of Cairns. Rebecca Claire Edwards, Curator of ShowCase has completed a Bachelor of Photography and has been working in the Cairns art scene for four years. 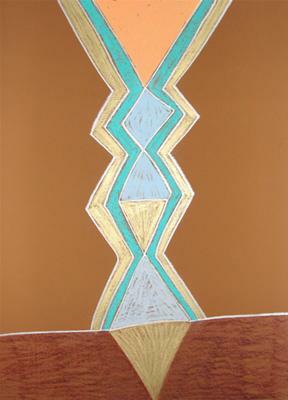 She has exhibited in numerous group exhibitions. Rebecca will be showcasing a digital artwork from her new series Effervescence in this group exhibition. Please join us at Cell Art Space, 109 Lake St (Ergon Energy building window front) at 5.30pm sharp to officially launch ShowCase. 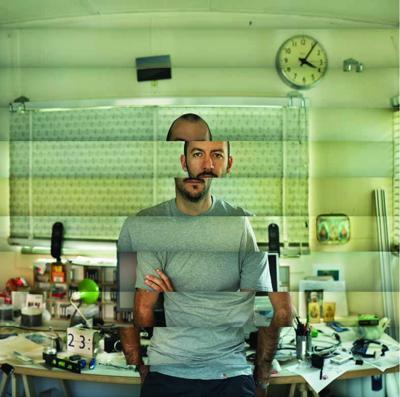 From 6pm - 8.30pm meet the artists and enjoy food and drinks at Twelve Bar Café, Cnr Lake & Shields St.
Simon Poole's exhibition, Transparency, is on at Cell art space from 3 January - 6 February 2010, showcasing Glass Assemblage Sculpture Installation. Glass is defined as an inorganic product of fusion that has been cooled to the solid state without crystalising. It is so common that most of us take it completely for granted. The optical and physical properties of glass make it suitable for many applications and it therefore plays an essential role in art, science and industry. If it isn't cast and annealed properly it can shatter. It is malleable in its molten state but hard to control as a solid. It can be soft and organic or angular and hard. It is mystery, beauty, fragility, strength, nature, science, emotion, spirituality and the mundane all wound up into one clear container. Glass is also one of the most recycled materials in the world; however it still requires plenty of energy to make it happen. I have therefore endeavoured to interrupt this process by taking interesting glass objects I collect and rearranging them without the expense of energy other than that of my own. Go Troppo Arts Festival presents varied arts events and fabulous hands-on arts workshops October 22 - 31, Port Douglas, 2010. Learn how to make a basket from coconut fronds, try environmental sculpture on the waterfront or become absorbed in 'indigo to dye for' on the beachfront. Please see http://www.go-troppo-arts-festival.com for more information. 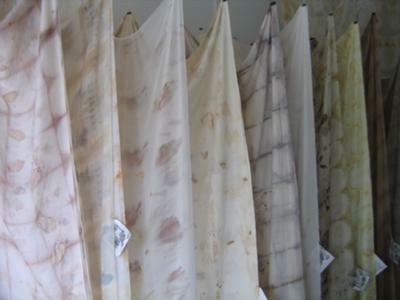 Works exhibited as part of the Energy Exhibition Cell Art Space Awards can include drawing, painting, photography, innovative installation and multi media works. Please join us at Cell Art Space, 109 Lake St at 5.30pm sharp to officially launch Energy Exhibition Cell Art Space Awards. From 6pm - 8.30pm meet the artists and enjoy food and drinks at Twelve Bar Café, Cnr Lake & Shields St.
International Sister Cities Exhibition "Fibres of Life"
The exhibition is co-ordinated by the Visual Arts Association of Far North Queensland in partnership with the Cairns Regional Council Sister Cities Advisory Committee. On opening night, Friday 19 November, there will be a wearable art parade & prizes for most fabulous wearable art dressed male and female visitor. During the exhibition from 19 Nov to 12 Dec Fibrecrafters FNQ will be conducting mini workshops on felting, braiding, shibori, spinning, basketry and more. For more information call Lone White ph 07 40537508 begin_of_the_skype_highlighting 07 40537508 end_of_the_skype_highlighting. Launch 19 November at 6pm - all welcome. Open weekdays from 9am to 4.30 pm - Weekends 10am to 4 pm. Fantastic opportunity for artists and craft workers to exhibit and sell to the public with no commission charges on sales. The setting is along the foreshore in a market environment in lovely Palm Cove on Sunday 6th June 2010. From 08.00am to 5pm. Cost $10.00 per artist and $25.00 per market stall. Must be own work or handmade and entry by registration only. 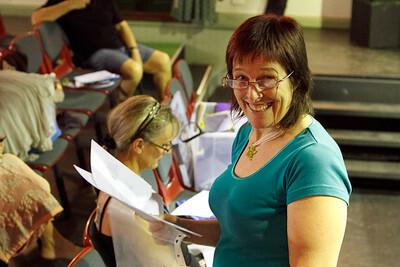 Forms available through Tourism Palm Cove website or Cairns Art Society. Les Femmes and John is an exhibition of works by a vibrant group of art practitioners. Coming from diverse backgrounds, these artists bring together their distinctive interpretation and creative energy in this show. This exciting line up of contemporary and traditional work features drawing, sculpture, painting, ceramics and digital media. The underpinning knowledge and inspiration central to these works reflect the complexity and diversity of life. The works explore a range of issues including loss of culture, the environment, innocence and other aspects of the human condition. Hayley Gillespie’s Revelation is a figurative interpretation of the literal transposition of biblical and European myth and tradition on to the Australian landscape. The story looks at the similarities of belief systems, stories and fables from one side of the world to the other, as well as the indoctrination of some and suppression of others. 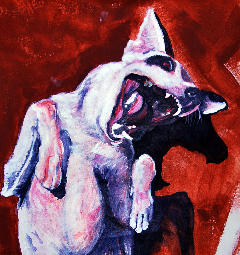 The work is fashioned in a European illustrative style, with dark elements throughout, as in the Grimm and Anderson vein, as well as the dark side of the Bible. Now living in Australia for the past fourteen years, Hayley has developed an interest in Aboriginal culture and European / Australian tales from the early settlers and the similarities and effect they have on each other. Please join us at Cell Art Space, 109 Lake St (Ergon Energy building window front) at 5.30pm sharp to officially launch Revelation. From 6pm - 8.30pm meet the artist and enjoy food and drinks at Twelve Bar Café, Cnr Lake & Shields St.
On Writing Stories and Film Scripts! Would you like to know the secrets to becoming a very successful writer for both the screen and the page, as well as discover how to get your film produced or book published? You are invited to a FREE seminar presented by Best Selling Author Michael Domeyko Rowland in Cairns! Michael has produced, written and directed a cinema film titled Being in Heaven, shot at Fox Studios. He also wrote the best selling book ‘Absolute Happiness’ (90,000 copies) and has written and directed documentaries, as well written and presented dozens of seminars. The film Being in Heaven has been released across Australia by Palace Cinemas with every city extending their screenings by popular demand. This seminar will give you the most vital methods to free your ‘inner’ writer and help you compete your story. It is fantastic information that is easy to apply. Whether you are a professional or aspiring writer, this is a rare and unique opportunity to discover how to create successful stories and get your work produced or published. Over one thousand people have attended this seminar already all over Australia. Now you can join them! Seats are limited, so if you would like to come, please register immediately! To book phone 1800 67 62 62 begin_of_the_skype_highlighting 1800 67 62 62 end_of_the_skype_highlighting or email film@pnc.com.au. If you do not book you may not get in as these book our very quickly! 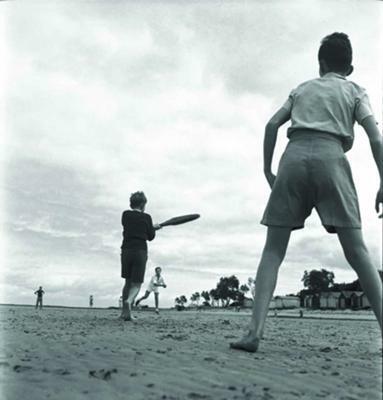 Max Dupain (1911 – 1992) is widely considered one of Australia’s greatest photographers. This exhibition showcases the diversity and longevity of Dupain’s commercial career, tracing his development as a photographer and artist from the 1940’s to the 1970’s. Max Dupain on Assignment is a touring exhibition from the National Archives of Australia. Featuring Natalie Green and Yoshiko Kirby. 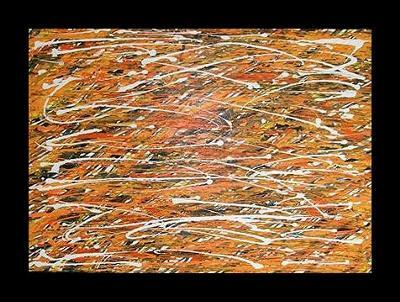 Natalie is a Modern Abstract artist, who paints medium/ large canvases,in bold colours and designs. 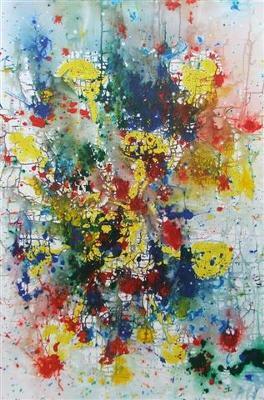 Yoshiko is a contemporary semi-abstract artist, preferring to paint figures, especially people. 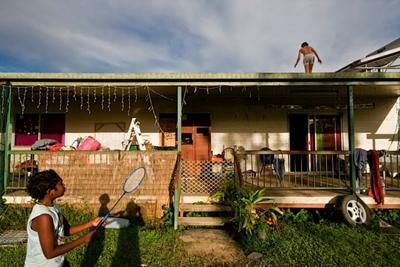 Tammy Law, a Brisbane photographer, will be exhibiting in Cell Art Space for the month of August to coincide with Cairns Indigenious Art Fair (CIAF). In March 2009, the state government announced they would evacuate the former mission and Indigenous community of Mona Mona. The fifty remaining residents still live on the land, but Mona Mona was low on the state government’s list of priorities, declaring infrastructure and the renewing of housing to be discontinued. Tammy Law received a BA in Photography (Photojournalism) from Griffith University. Tammy earned a place in the YAMP 2009 (Young Artists Mentoring Program). Place Called Home will be exhibited as part of Cairns Indigenous Art Fair 2010. Please join us at Cell Art Space, 109 Lake St at 5.30pm sharp to officially launch Place Called Home. From 6pm - 8.30pm enjoy food and drinks at Twelve Bar Café, Cnr Lake & Shields St.
Saturday, December 4th 2010 sees the "Palm Cove Christmas Market" open the festive season with market stalls of art, hand made crafts, gifts and all things Christmassy. Starting at 08.00am the stalls will display the most fantastic array of talent found in North Queensland. At 6pm the inaugural switching on of the "Lights" along the Esplanade marks the beginning of this wonderful time of year along with an opportunity to find that very special gift for someone close. Lake explores the notion of tattoos as a visual language and considers the tattoos that historical figures may have adopted. 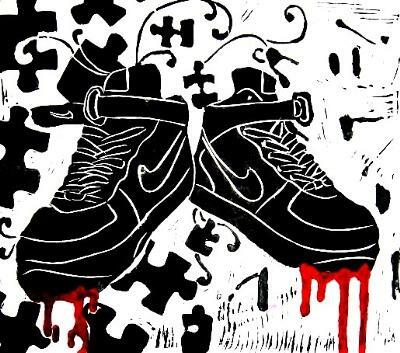 Nicolette Worth’s exhibition is based around sneakers and urban culture. Each piece of artwork has been created in a different light, depending on the sneaker, as sneakers show many different characters. Some fun and exciting, some harder to read, but all colourful and happy. Nicolette’s work is influenced by Australian and American hip-hop culture, graffiti and street art, Indigenous Australian art, Indian art, African art and the decorative era of the 1960s. Her art contains a lot of collage layering, different textures, as well as stencilling, scratching and drawing. Nicolette has completed a Diploma in Visual Arts. In 2009, her sneaker art was exhibited in New York. Please join us at Cell Art Space, 109 Lake St at 5.30pm sharp to officially launch Shoefiti. From 6pm - 8.30pm meet the artist and enjoy food and drinks at Twelve Bar Café, Cnr Lake & Shields St. 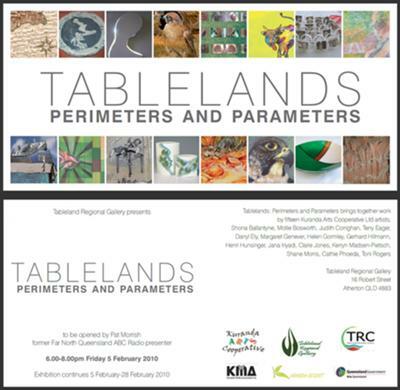 Opening 6-8pm Friday 5th Febuary 2010 at the Tableland Regional Gallery, 16 Robert Street, Atherton, Queensland. Shona Ballantyne, Mollie Bosworth, Judith Corrighan, Terry Eager, Darryl Ely, Margaret Genever, Helen Gormley, Gerhard Hillmann, Henri Hunsinger, Jana Iriyadi, Clare Jones, Kerryn Madsen-Pietsch, Shane Morris, Cathie Phoeda and Toni Rogers. The exhibition, to be opened by Pat Morrish, former Far North Queensland ABC Radio presenter, has been curated by Dr. Barbara Dover and continues to Feb. 28, 2010. 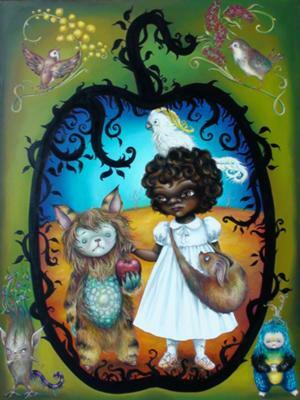 Sasi Victoire, Laurel McKenzie and Margaret Genever will exhibit 'Wonderland' at Artroom @ Vivo, Palm Cove, from June 18. In Victoire's woodcuts and mixed media works, a playful revamp of Alice in Wonderland imagery creates a new narrative of life in tropical Wonderland. McKenzie's pigment-based prints place red-carpet celebrities in unfamiliar territory. 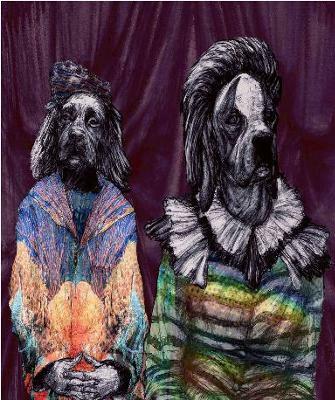 Genever's archival pigment prints, set in the circus realm, draw attention to ambiguities in the human animal/non-human animal relationship. Local artist Glen O’Malley presents photographic portraits of North Queensland residents and their pets and explores the play of power in the relationships. The spectacular scenery of Far North Queensland never ceases to engage the interest and ignite the imagination of artist Louise Derry. 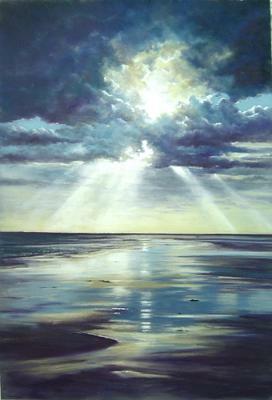 Her evocative pastel paintings describe wonderful, sometimes magical moments in time as the dramas of Mother Nature unfold, from raging moody storms to glowing hazy sunsets, wild windy oceans to calm tranquil waters. These atmospheric works capture the essence of the landscape in all its diversity. An exhibition showcasing paintings by Jane Leadley produced by the unusual method of dropping paint from her house roof onto the canvas below. 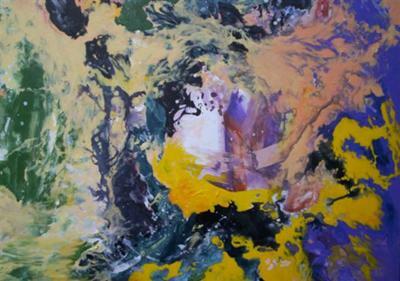 Sporadically mixed acrylic and oil primary colour paints morph into visually pleasing unique abstractions. Please join us at Cell Art Space, 109 Lake St at 6pm sharp on Saturday March 6 to officially launch 'From a Great Height' -a series of vibrant abstract action paintings. 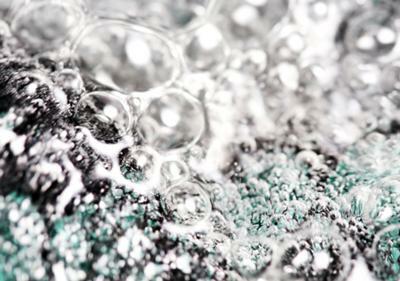 From 6.15pm - 8pm meet the artist and enjoy food and drinks at Twelve Bar Café, Cnr Lake & Shields St.
Effervescence: to give off bubbles is a series of abstract images captured underwater, revealing texture, shape, form and drama. 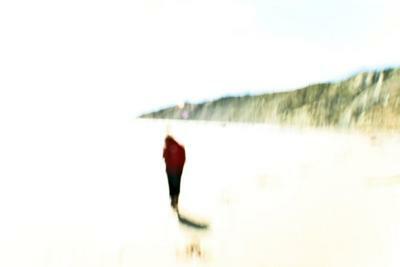 This contemporary series exists as a result of situation and experimentation and endeavour to capture the unusual. Rebecca Claire Edwards graduated with a Bachelor of Photography from James Cook University in 2005. 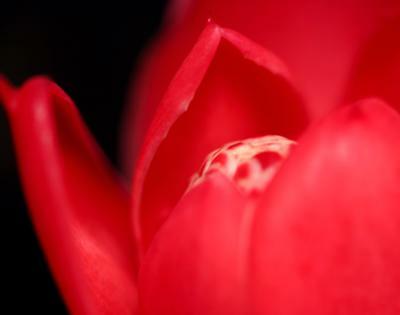 Rebecca lectures in photography at James Cook University, is a freelance photographer and artist, and was a mentee in the 2010 Starburst Regional Mentoring Program managed by Youth Arts Queensland. Rebecca continues to exhibit her digital art in numerous group exhibitions throughout Far North Queensland. Please join us at Circa 1907 Contemporary Artspace, City Place Lake St at 6pm sharp to officially launch Effervescence. For more information please visit w: www.c1907.com.au or contact the artist via e: infoATrebeccaclaire.com.au m: 0403 221 178.